Podstine crag literally means “UnderRock” in Croatian. It is the closest crag to the town of Hvar and the only one in walking distance from it, although a challenging walk. 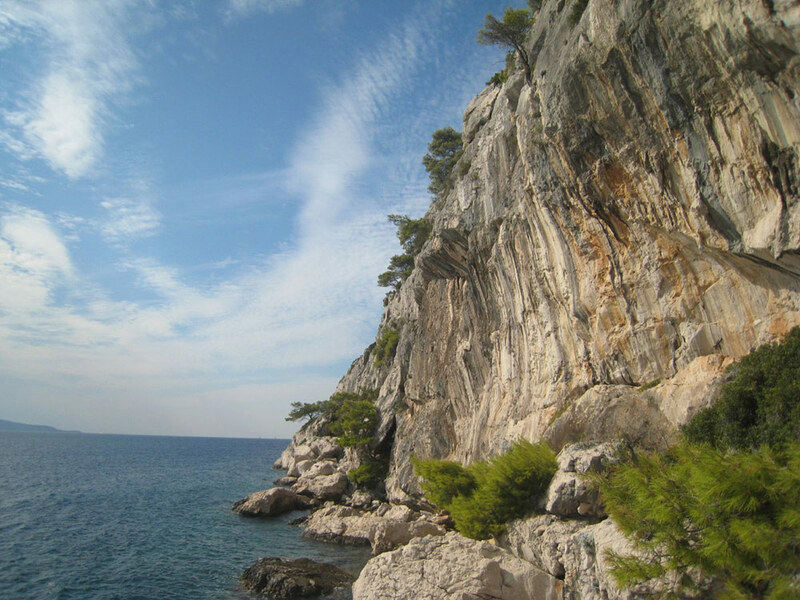 This could be the place for you if you are located in the town of Hvar and stuck with no car or other transport, looking for some climbing. Approach Park before or after the tunnel if you can find spots (usually not available after). Take one of the stairs to the coastline and then take a sealine path until you pass the last house (big one). From there, there is 10minute hike through the forrest trail. Again, there will be a sealine walk for the last 50m. Climbing – Moderate and easy. Not too many routes. When in Hvar, the easiest way to reach it is to follow the signs towards Podstine hotel (which is near the crag) and take your car there, but be careful since parking is very very difficult to find in the summer. Other ways include renting a boat or inflating your own in Hvar harbor and getting yourself 3Km from the harbor to the west. You can’t miss the crag. At this time around around 20 sport routes have been bolted in sectors A and B. Other sectors have not yet been opened for climbing and may be on a private property. The crag is facing south and is suitable for climbing all through the year, as are all crags on the island. Due to the fact that is at the sea level, mild sea breeze is making it easier to climb in the summer. Also, you can enjoy the sea while you are waiting for the perfect time.